Meetings, conferences, wedding receptions, executive retreats, and social events are planned and implemented with the style and grace of the Phoenix Park Hotel. Each elegantly appointed meeting space is touched with a modern flair. Our flexible spaces accommodate groups of various sizes and provide an atmosphere that puts your event in just the right light for your guests and colleagues. 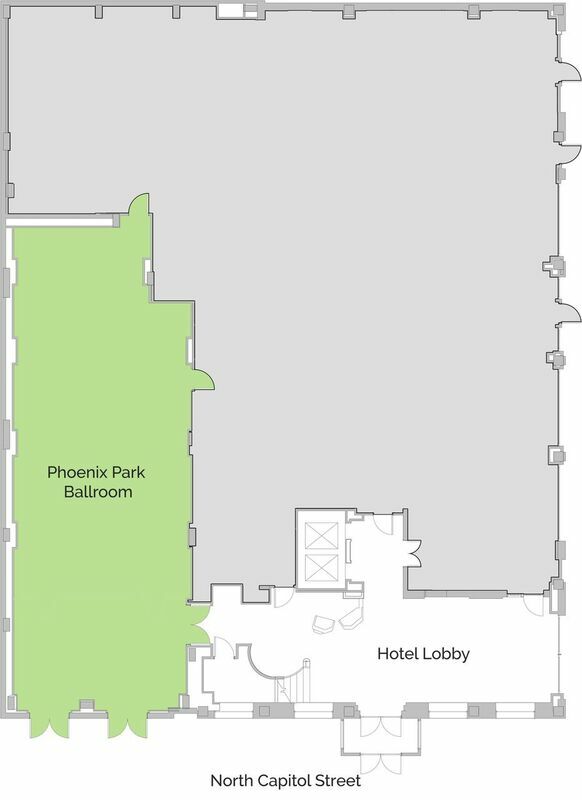 The Phoenix Park Ballroom sets the stage for opulence. Furnished with the finest custom-designed carpets made in Ireland and Gaelic chandeliers, this 2,000-square-foot space accommodates weddings, conferences, and formal celebrations for up to 200 guests. 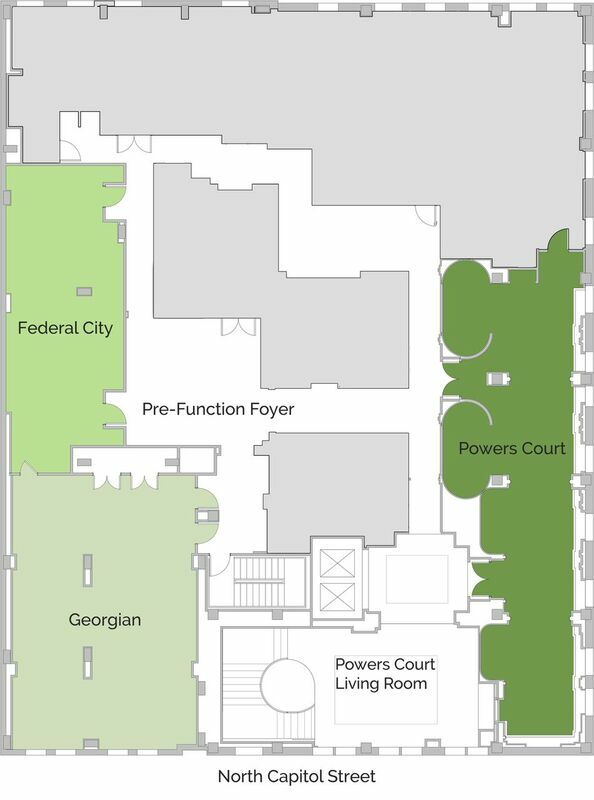 A room-length mural of Washington, DC, titled “Federal City” by local artist Peter Sawyer dramatically defines this space. The Federal City Room accommodates up to 60 clients and is the perfect setting for a small business conferences or intimate gatherings. The Georgian Room is an attractive space that is ideal for business meetings or small weddings and can accommodate up to 80 guests. The uniquely designed windows showcase scenic views of Union Station and the wall space is adorned with classic paintings of Irish landscapes. The Powerscourt 1,124 sq. ft.
Mahogany wall paneling and period décor, along with an adjacent living room, make The Powerscourt room your perfect setting for breaks, receptions, or events of all kinds that require plenty of flexibility. This space ensures your gathering is a success from start to finish. Contact us for information about how Phoenix Park Hotel can make your corporate or social event your most productive and memorable ever.